The Hult Prize is a crowdsourcing platform for social good, named one of the top five ideas changing the world by the TIMES Magazine. The innovative crowdsourcing platform identifies and launches disruptive and catalytic social ventures that aim to solve the world’s most pressing challenges. 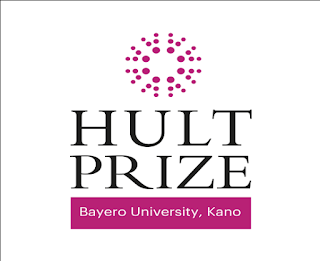 This year, the Hult Prize is focused around finding solutions for the millions of people around the world using the power of energy to find solutions to problems in Health, Mobility, Agriculture, Water, Connectivity, and Education. 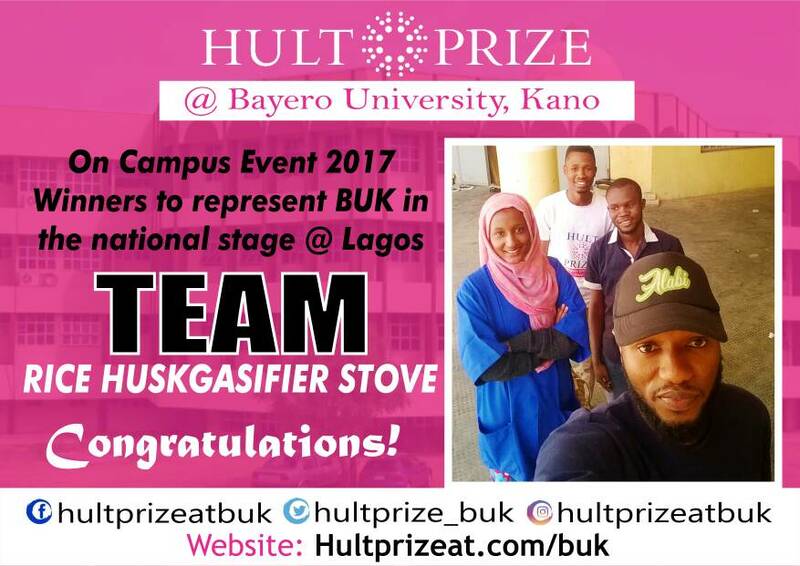 The winning team RICE HUSK GS from the Faculty of Engineering includes Captain Abdulmutalib Sheriff, Muhammad Abdulganiyu, Khadija Garo. 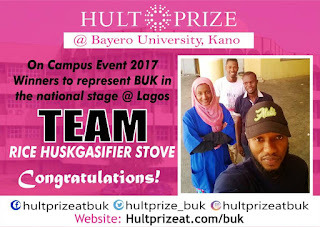 The team competed with other seven teams in the Hult prize at Bayero University, Kano on-campus event finals on Tuesday 12th December 2017 and built on a solution to this year’s challenge, “Harnessing the power of Energy to impact ten million lives by 2025 cutting across six dimensions earlier stated. Their solution which includes using waste materials from Rice Husk and other agricultural waste as fuel to power the user’s stove and yet having no harm to the environment. The team will now move on to compete at the Hult Prize regional finals in March 2018, which will be hosted in 15 cities around the world. Bayero University, Kano and other schools in Nigeria will compete in Lagos State come March 2018. Following the regional finals, one winning team from each host city will advance to an intensive 8-week summer business incubator in London fully funded, where they will receive mentorship, advisory and strategic planning as they create prototypes and set up to launch their new social business. The final round of competition will take place in September, where a jury panel will select the annual Hult Prize winner. USD 1,000,000 Prize for the winning team. Campus Director Olumide Areo a member of ENACTUS BUK from the Department of Accounting Level 300 said “I must confess it wasn’t an easy task making sure our event took place here at BUK, myself and my team and of course yes, the volunteers. We had lots of challenges, from recruiting teams down to the final event. I want to thank the school authorities; our Vice-Chancellor Prof. Muhammad Yahuza Bello for granting us the opportunity to host the event in school, the Dean of Student Affairs Prof. Ismail Zango, Dr. Audu A. Abdullahi, Dr. Adams Adieza and our wonderful judges in no particular order, Maimuna Abubakar Anka, Mr. Godwin Oguche and Amb. Emmanuel Gabari who contributed towards this success. This shows that Bayero University, Kano is ready to showcase what her students have got to offer towards solving the world toughest challenges.